A perusal of classical facades from ancient times to modern reveals a persistent use of alternating triangular and segmental pediments for topping openings and other architectural features. What is the rationale for this convention? Written discussion of alternating pediments is almost non-existent, thus we might surmise that it was an innately understood device for instilling an interesting visual rhythm to a series of bays or openings. A row of continuous triangular pediments is visually static. Alternating triangular pediments with curved-top ones provides visual lilt and encourages the eye to skip from one end of a facade to the other. Even when a structure has only three bays, alternating their pediment shapes makes a facade livelier than if all three pediments were treated the same. The courtyard of the Temple to Vespasian in the ruins of Pompeii offers a telling image of the ancient Roman application of alternating triangular and segmental pediments. 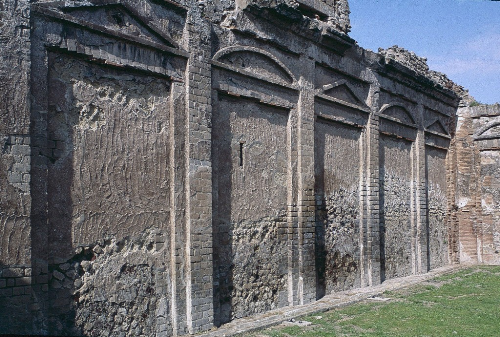 [i] (Figure 1) Constructed after the earthquake of 62 AD, the bare brick pediments and frames of these blind openings likely served as foundations onto which more fully modeled stuccoed moldings and other ornaments were applied. Such decorative enhancement would have been obliterated in the fallout from the eruption of Vesuvius in 79 AD. Nevertheless, the denuded elements provide us with an early ancient use of this treatment for pediments. The architectural remains at Pompeii would have been unknown to Renaissance architects since systematic excavations and study of Pompeii were not undertaken until the 18th century. Constructed during the reign of the Emperor Trajan, the Great Court of the Temple of Jupiter in the magnificent ruins of Baalbek also preserve examples of alternating pediments. The court’s side walls are embellished with aedicules that presumably held images of deities. 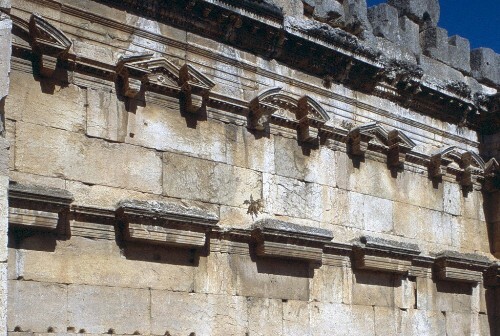 (Figure 2) The figures are long gone as are the columns that provided visual support for the surviving pediments. Anchored to the wall, the remaining alternating pediments are sophisticated works of Roman design. Each of the pediments breaks in the middle, with the center portion of each being recessed. Such details may have provided inspiration for Georgian-period designs through Robert Wood’s richly illustrated Ruins of Balbec, Otherwise Heliopolis in Coelosyria (1757). Figure 3. “Temple of Jupiter,” I Quattro Libri, (Tavenor & Schofield Translation, 2002) Book IV, p. 43. Andrea Palladio’s Book IV of I Quattro Libri dell’Architettura (1570) is filled with Palladio’s conjectural reconstruction drawings of Roman temples, an invaluable record of many structures that have since been lost. Although alternating triangular and segmental pediments became a standard treatment for openings on many Renaissance buildings, few examples are shown in Quattro Libri’s Book IV, and indeed few if any ancient examples survive in Rome. However, we see aedicules with alternating pediments on the courtyard walls of Palladio’s reconstruction drawings in Book IV of what he named the Temple of Jupiter. Scholars have now identified this temple as the Temple of Serapis, built by the Emperor Caracalla on the Quirinale Hill. [ii] (Figure 3) The ruins were destroyed in 1615; we know the temple and its pediments only through Palladio’s images. 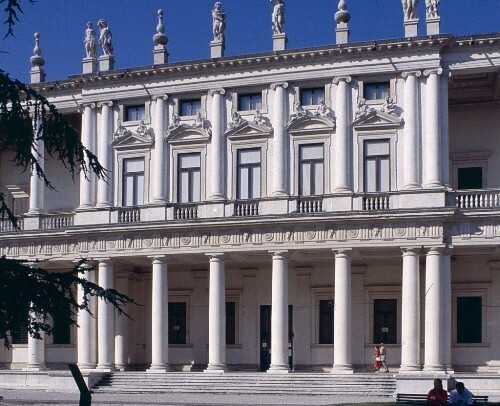 Palladio applied alternating pediments in several of his own works including the Palazzo Civena, the Palazzo Thiene, the Palazzo da Porto, the Palazzo Barbarano, the Palazzo Porto-Breganze, and the Teatro Olimpico, all in Vicenza. He undoubtedly learned the device through his detailed study of Roman ruins, such as the temple discussed above, as well as through his observations of works of other Renaissance architects. What is perhaps Palladio’s most conspicuous and elegant application of alternating pediments highlights the center section of Vicenza’s Palazzo Chiericati, begun in 1551 and completed in stages. (Figure 4) Here Palladio placed reclining figures on each slope of the pediments, recalling Michelangelo’s use of such figures albeit more emphatic ones, on the Medici tombs. 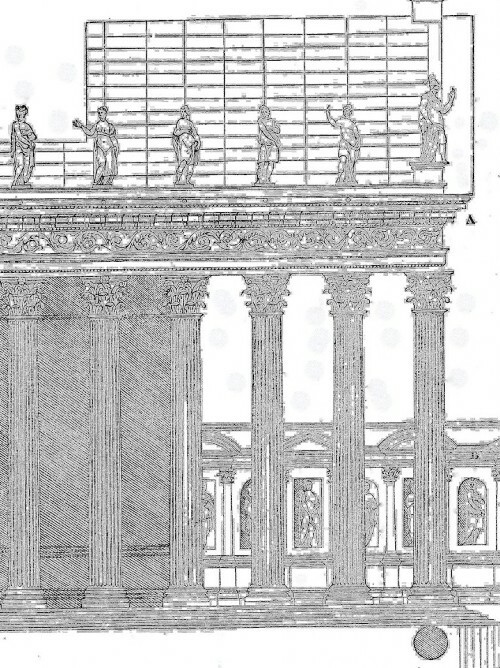 Palladio installed similar lounging figures on the pediments of the Palazzo Barbarano. Palladio’s protégé, Vincenzo Scamozzi, continued his mentor’s tradition of alternating pediments in his designs for buildings both in Vicenza and Venice. Many of these projects, built and unbuilt, were published in Scamozzi’s treatise, L’Idea della Architettura Universale (1615). One of his more ambitious schemes was for a prodigious palace for Cardinal Federico Cornaro on Venice’s Grand Canal. 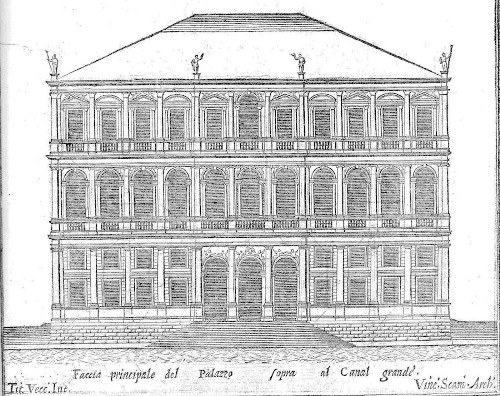 (Figure 5) Scamozzi’s published elevation in L’Idea displays the top-floor windows framed by aedicules with alternating pediments. As with the Palazzo Chiericati, several of the pediments sport reclining figures. Although the construction of Cardinal Coronaro’s palace never commenced, the design for this and other works in the treatise subsequently influenced architects elsewhere in Europe, especially the Netherlands and Britain. Inigo Jones is credited with introducing Palladio’s and Scamozzi’s versions of the Italian Renaissance mode to Britain. Jones traveled in Italy in 1612-13 where he visited many of Palladio’s buildings and met Scamozzi. He also acquired a copy of Scamozzi’s L’Idea della Architettura Universale. [iii] Jones was appointed Surveyor of the King’s Works in 1615, in which capacity he built several important royal commissions including the Banqueting House at Whitehall Palace in 1619-22. (Figure 6) With its unadulterated Italian character, the Banqueting House launched the first phase of Britain’s Anglo-Palladian movement. 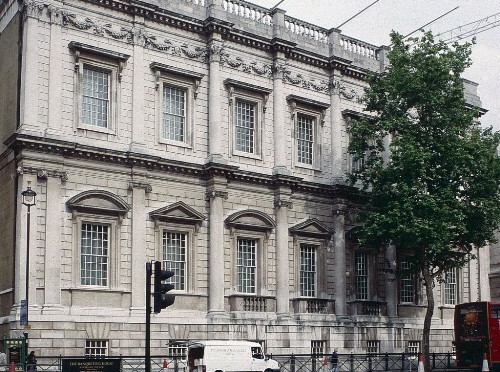 Following the precedent of Palladio and Scamozzi, Jones treated the windows of the Banqueting House main level with alternating pediments, some of the first of many to come throughout Britain. Architect James Gibbs was one of Britain’s most influential 18th-century practitioners of the Anglo-Palladian style. 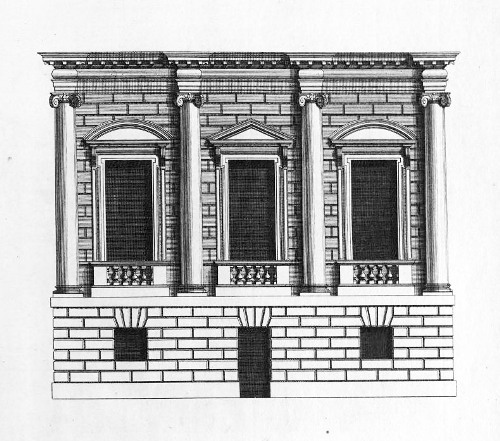 Gibbs popularized Palladio’s classical mode not only with his many finely composed buildings but through his two publications: Book of Architecture (1728) and Rules for Drawing the Several Parts of Architecture (1732), both of which served as guides for architects and builders throughout the British Isles and the American colonies. A rich but well-modulated example of Gibbs’s works is the Senate House at Cambridge University, built 1721-30. (Figure 7) As in many of his designs, Gibbs employed alternating pediments for its windows. He departed from convention here by placing the pedimented windows on the ground level with arched windows above. This treatment was probably dictated by the fact that the building has no podium and its interior is a single large room. Hence there is no piano nobile as in more academic classical buildings. The three second-story windows in the river front of the ca. 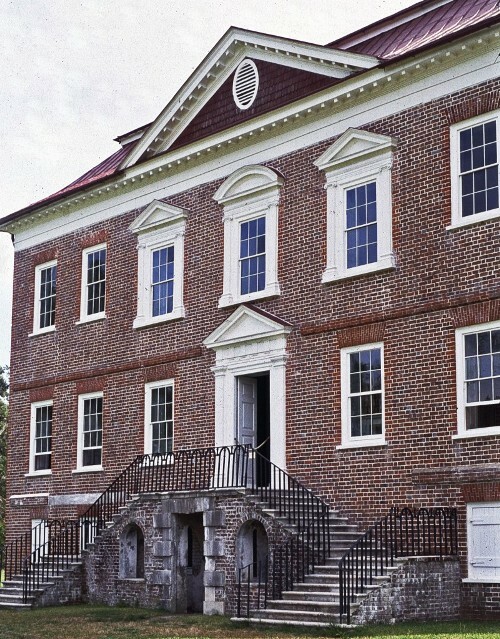 1740 Drayton Hall may well be America’s earliest use of alternating pediments and aedicule window frames. [iv] (Figure 8) John Drayton, for whom Drayton Hall was built, owned several British design books, including Vitruvius Britannicus, which illustrates numerous country houses with alternating pediments. However, the use of just three bays with alternating pediments closely resembles a scheme on Plate 38 in Designs of Inigo Jones with some Additional Designs (1727), edited by William Kent. (Figure 9) John Drayton did not own this tome but an illustration for a chimneypiece in this book definitely served as the basis for the chimneypiece in Drayton Hall’s great hall. John Drayton, however, did own James Gibbs’s Book of Architecture (1728), which illustrates individual pedimented Ionic aedicules closely paralleling those at Drayton. While academically correct from a design standpoint, the three windows are somewhat awkwardly placed, particularly the center one, which perches precariously on the tip of pediment below. Among the most academic of our colonial-period structures is the 1762 Brick Market in Newport, Rhode Island designed by Peter Harrison, one of the earliest professional architects to work in America. The market’s main level is set off by windows with alternating pediments. (Figure 11) The windows are enhanced with pulvinated friezes and eared architraves. Architectural Historian William H. Pierson maintained that the market’s design was modeled after a now lost gallery of London’s Somerset House, a work attributed to Inigo Jones and illustrated in Colen Campbell’s Vitruvius Britannicus (Vol. 1, Plate 16, 1715). [v] Like the market, the Somerset House design has an arcaded ground floor with windows above framed by pilasters and topped with alternating pediments. 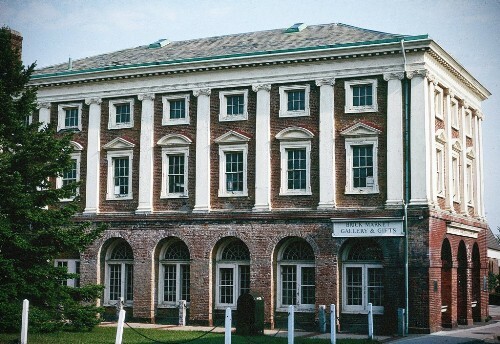 Newport’s Brick Market may be the country’s only colonial-period public building to have alternating pediments. America’s most famous display of alternating pediments is, of course, on the White House where the pediments highlight the first-floor windows on both the north and south fronts. (Figure 12) An outstanding example of the Anglo-Palladian style, the White House exhibits the influence of James Gibbs’s designs, but more directly was inspired by Leinster House, the Dublin mansion erected 1745-48 for the Duke of Leinster, and now seat of the Irish Parliament. 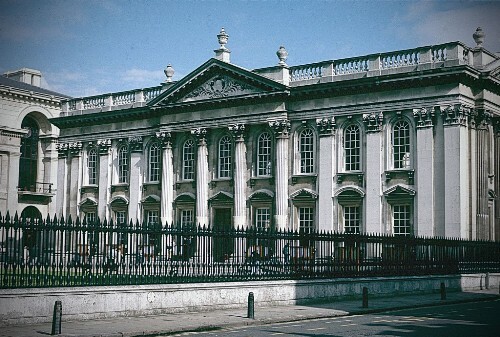 Designed by Richard Cassels, Leinster House likewise has alternating pediments decorating its windows. James Hoban, architect of the White House, was an Irish native trained in Dublin, and was well acquainted with Leinster house. [vi] Hoban’s White House scheme won the design competition for the President’s House as it was the personal favorite of George Washington. [vii] Our twenty-dollar bills have offered millions of immediately accessible images of the White House and its pediments. 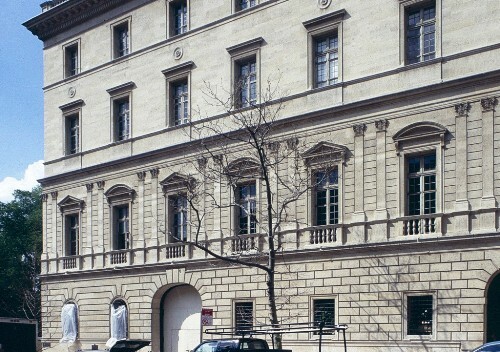 An arresting but frequently overlooked use of alternation pediments enlivens the Aile Napoleon (also the Galerie Nord), a wing of the Louvre, now housing the Musée des Arts Decoratifs. 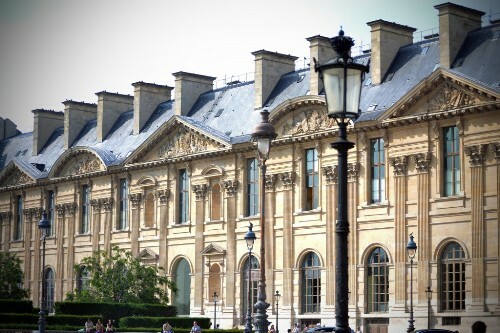 Following his becoming First Counsel in 1799, Napoleon determined to achieve the long-standing ambition to connect the Louvre with the north end of the Tuileries Palace, and commissioned architects Charles Percier and Pierre Fontaine to design the connector. For its south elevation, the architects chose to mirror the ca. 1600 facade of the Grand Galerie on the opposite side of the courtyard. Like the Grand Galerie, Percier and Fontaine’s facade was marked by an imposing progression of alternating triangular and segmental pedimented pavilions with each pediment supported on paired Composite pilasters. (Figure 13) The seven westernmost pavilions of the original thirteen sections of the Aile Napoleon were destroyed when the Tuileries was burned during the Commune of 1870, and were rebuilt to a different design. Moreover, the original Grand Galerie facade was lost in the 1860s when refaced with a different scheme by Hector-Martin Lefuel. 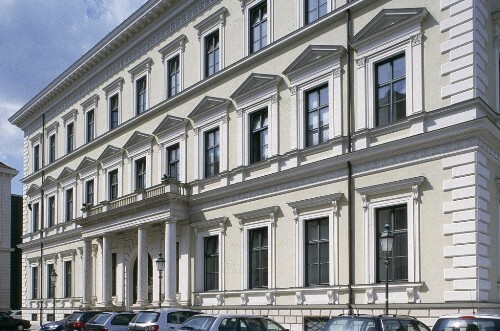 Leo von Klenze’s Leuchtenberg Palace in Munich is instructive for illustrating the effect created by avoiding alternating pediments. Although the palace is a dignified adaptation of the Renaissance mode, one inspired by the Palazzo Farnese and other Roman palaces, von Klenze shunned the time-tested device of alternating pediments for the palace’s middle level windows. (Figure 14) As a result, the continuous row of triangular pediments is monotonous. It gives the facade a static appearance instead of one with the lively rhythm that alternating pediments could provide. Nevertheless, von Klenze’s design launched the Neo-Renaissance movement in 19th-century Germany. The palace was completed in 1816 for Napoleon’s stepson, Eugene de Beauharnais, who married into the Bavarian royal family and was created Duke of Leuchtenberg. Originally built as the Pension Building, Washington, D.C.’s National Building Museum, completed in 1887, is an awesome if not unique Victorian interpretation of the Italian Renaissance style. 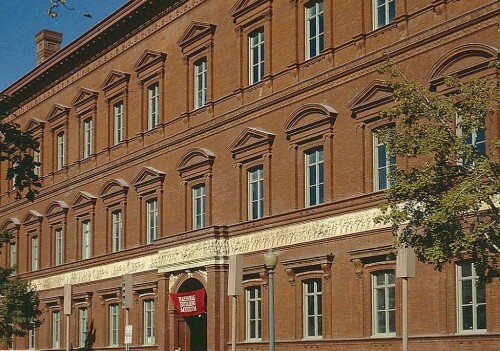 Army architect/engineer Montgomery Meigs took Rome’s Palazzo Farnese for inspiration but translated its form in bright red pressed brick and terra cotta, and gave it a facade of twenty-seven bays instead of the Farnese’s thirteen. (Figure 15) Nevertheless, Meigs was faithful to the model in his application of aedicules with alternating pediments for the mid-level windows. He strayed somewhat from the Farnese in his use of the Ionic order here instead of the Corinthian. Yet, true to his model, he maintained consistent triangular pediments for the top floor as did Michelangelo, who added the top story to Antonio da Sangallo’s lower two floors of the Farnese. Meigs’s alternating pediments indeed keep the eye bouncing down all twenty-seven bays. Alternating triangular and segmental pediments appear infrequently on 20th-century American buildings. The firm of McKim, Mead & White illustrated only a handful of examples in the voluminous monograph of their works. We see scant use of alternating pediments in the buildings of such notables as Carrère & Hastings, John Russell Pope, and Horace Trumbauer. A notable exception to this trend is the fabled mansion of the banker and philanthropist Otto Kahn in the Carnegie Hill neighborhood of New York City. (Figure 16) Designed by the British architect J. Armstrong Stenhouse, with New York’s C.P.H. Gilbert as associate, the main elevations are modeled after the ca. 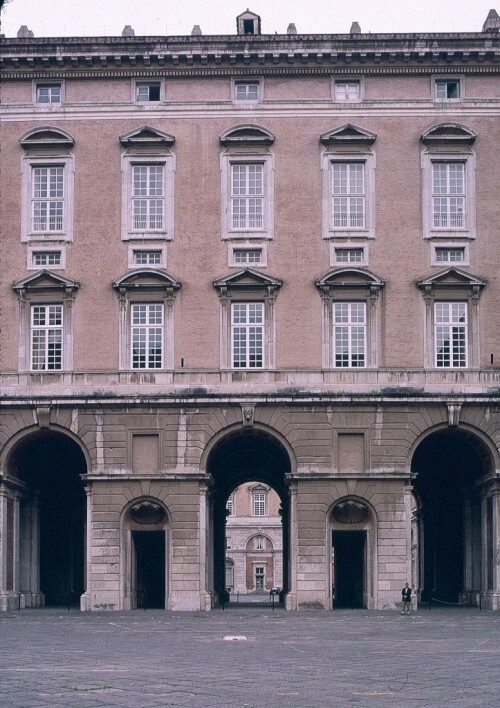 1500 Palazzo Cancelleria in Rome, which, interestingly, does not have pediments on its windows. The pediments on the Kahn mansion add visual relief to the otherwise seriously Renaissance-style edifice. Alternating pediments are a useful device for any classical-style building and can enliven an otherwise sober elevation. We would hope to see them used from time to time on 21-century works. I am not aware of recent examples of alternating pediments would appreciate learning of any. [i] The temple complex is believed to have been originally been dedicated to the Genius of Augustus. [ii] Andrea Palladio, The Four Books on Architecture, Translated by Robert Tavenor and Richard Schofield (MIT Press, 2002) p. 373. [iii] Patti Garvin, Koen Ottenheym, Wilbert Vroom, Vincenzo Scamozzi, The Idea of a Universal Architecture. Volume VI, (Architectura & Natura Press, Amsterdam, 2008), p. 26. [iv] I am indebted to Ralph Muldrow for making this observation. 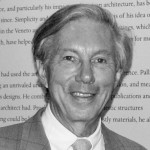 [v] William H. Pearson, Jr., American Architects and Their Builders; The Colonial and Neo-Classical Styles (Doubleday and Company, 1970) pp. 148-49. [vi] Hoban was trained in Dublin where he received the Duke of Leinster’s medal for drawing from the Dublin Society in 1780. 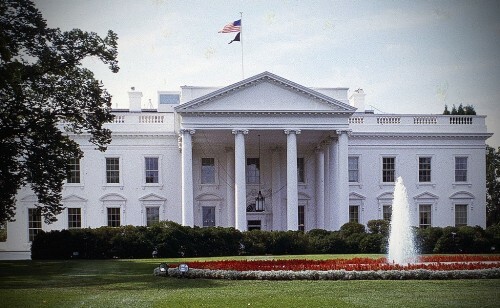 [vii] Like Leinster House, the White House originally was built with an engaged Ionic portico on the north elevation. The present portico was added in 1829. This entry was posted in CLASSICIST / ICAA and tagged Calder Loth, chadsworth columns, classical facades, Classicist Blog, columns, icaa, Institute of Classical Architecture & Art, pediments by Chadsworth Columns. Bookmark the permalink.